We work with many printers, design agencies, creative and marketing agencies to collect, shred and recycle all kinds and volumes of cardboard, print and packaging waste. 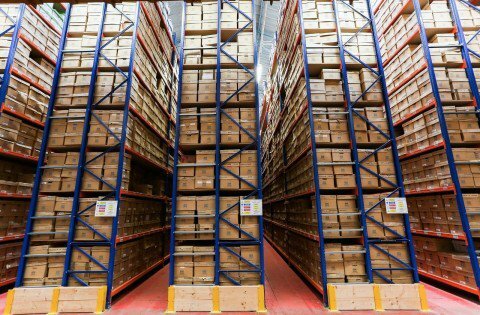 It could be a one-off bulk collection or an ongoing, scheduled service – no matter how much cardboard or print waste you generate, we’ll help you find the collection method that’s most convenient and cost-efficient for you. We can supply specialist bags for free, and for larger volumes you can use one of our lockable bins or cages. Office packaging waste destruction help to efficiently free up space within your business site, as well as surely disposing of any sensitive packaging waste. 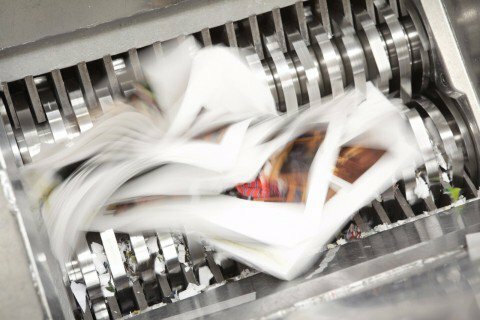 Not only do we offer the reassurance of secure print waste destruction, we can also help your company work towards its environmental targets, too. 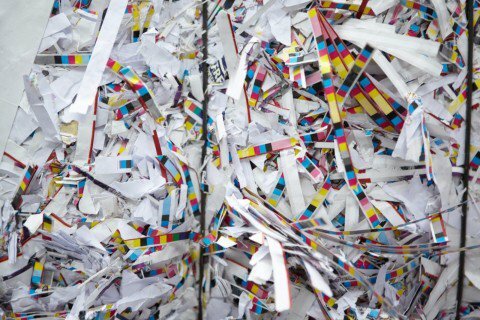 Print waste recycling is key for businesses moving forward. By actively recycling waste, this can have a large difference - no matter the size of the organisation. In keeping with our ISO 14001 accreditation, we aim to recycle 100% of non-contaminated waste. 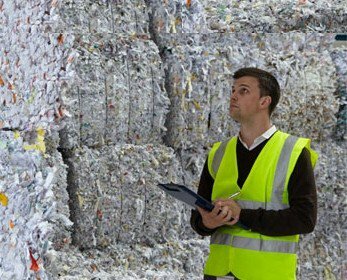 All paper and cardboard is baled at our recycling depot and sent to an environmentally approved and accredited mill, where it’s made into tissue products and new packaging material.